LOGAN, Utah–Malouf announced today that the company recently acquired a nearly 1-million-square-foot warehouse distribution property in Dallas. The building sits on 94 acres and features 54-foot ceilings and 160 dock doors. Combined, these features will help Malouf provide accurate and efficient order fulfillment and improve its vertical integration capabilities. Prior to acquiring the property, this facility served as a distribution center for Toys “R” Us. 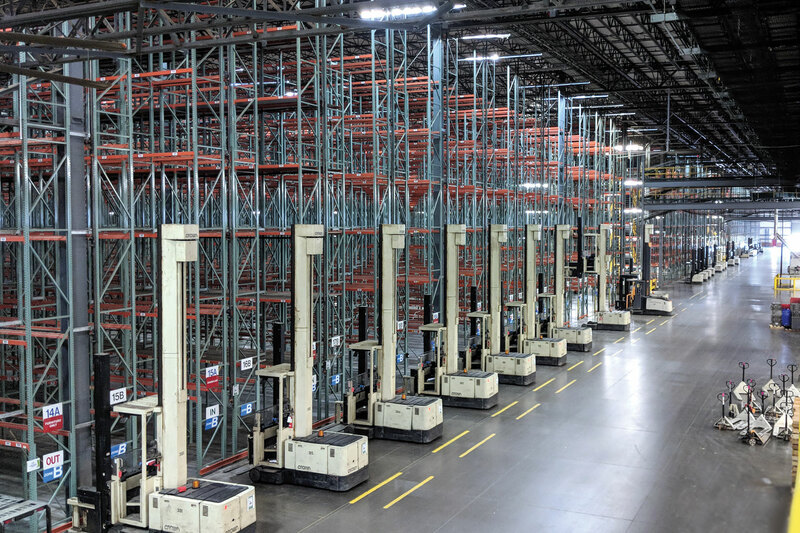 The new warehouse is equipped with an impressive automated system that the Malouf in-house development team can customize to ship more than 3,600 units per hour out of this facility alone. Additionally, this location will help the company better service its international clientele located in Central and South America. Malouf will begin shipping products out of this new warehouse at the beginning of next year. With all four of its distribution centers, the company can offer two-day ground shipping to 98 percent of the continental United States. Malouf warehouses total 3 million square feet and are located in Utah, Ohio, North Carolina and Texas. A leader in the furniture and bedding industry, Malouf offers a wide scope of innovative products including pillows, sheets, mattress protectors, bed frames, mattress toppers, and adjustable bed bases. Known for people-first service, quick and easy ordering and shipping, and outstanding packaging design, Malouf products are sold in over 12,000 retail locations in the U.S. and its growing international team now serves over 20 countries. Malouf is headquartered in Logan, Utah and founded in 2003 by Sam and Kacie Malouf.